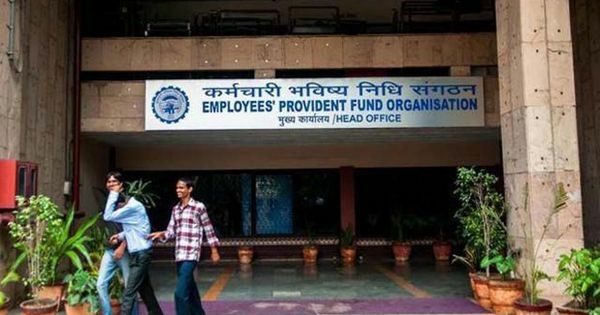 A jobless Employees’ Provident Fund (EPF) subscriber who hasn’t crossed the retirement age (60 years) will now be able to withdraw only up to 75% of the accumulated EPF deposits, as against 100% earlier. A month without a job will make a subscriber eligible to withdraw the deposits. Earlier, pre-retirement withdrawal of EPF funds required the subscriber to be without job for a continuous period of two months. “The commissioner or, where so authorised by the commissioner, any other officer subordinate to him, may permit a member, on ceasing to be an employee in any factory to establishment to which the Act applies, a non-refundable advance upto 75% of amount standing to his credit in the fund, if he has been employed in any factory or other establishment for a continuos period of not less than one month,” said the Employees’ Provident Funds (Amendment) Scheme, 2018, notified on December 6. Employees’ Provident Fund Organisation (EPFO) manages social security funds of workers in the organised and semi- organised sectors. The retirement fund has more than six crore active members who have contributed at least in one month during the year. While an employee, earning upto `15,000 a month, contributes 12% of the basic pay to EPF, the employer contributes 8.33% towards employees’ pension scheme and 3.67% to the EPF. Additionally, the employer also pay 0.5% towards Employees’ Deposit-linked Insurance (EDLI) Scheme, 0.65% as EPF ACs and 0.01% as EDLI handling fee, taking the total contribution to 13.61%. Labour ministry sources said the decision to cap the withdrawal was taken after it was found that a large numbers of final withdrawal claims were filed by the members even before the attaining the age of retirement. “Such withdrawal ends the membership of the person early and thus affects the social security of the members and his family. Out of these cases, early final settlements, many cases are due to non-employment of member for more than two months,” said a source. EPF scheme does not have provision for advance to members during such kind of non-employment and the scheme allows only full and final settlement. This compels members to withdraw entire amount at the cost of their social security. The labour ministry said that there was a need to provide a social security cover during the period of non-employment as well.